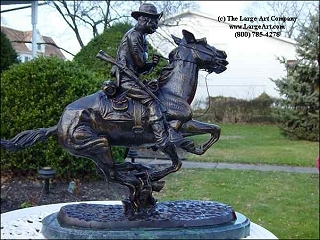 The Trooper of the Plains represents one of the west's most endearing characters. Comparable to today's US Marshall, the Trooper of the Plains was responsible for protecting the settlers as they headed west. Living out of their saddle, they were known to pursue bad guys across many states to get their man.